Effective 4 Jan 09, all comments are screened and most family related entries may be screened "Friends Only" depending on content. Maintaining my personal life and privacy is important. Feel free to friend me if you like, though I'd ask you to send a brief introduction comment or message. Don't get upset if I don't friend you back in return (immediately or ever). Please don't be offended if I don't add you back. All of my photography appears on the public side of this journal. Most family and private matters stay as "friends-only" posts. As I get to know 'you' either in person or in commentary, I may add you. Even if I don't add you, don't be surprised though if I should drop an ocassional comment into your journal from time to time. Due to the recent ToS changes to Live Journal and the anticipated censorship to follow, I am moving my LJ entries and comments to Dreamwidth. The new account is "JJMacCrimmon" there. I will continue to moderate the "abandonedplaces" community to the best of my ability. I will be closing other communities I own. After well over a decade this change is bittersweet, but I will not have my thoughts, writings, images and more potentially censored by a government of another country. This week has been a major roller coaster ride. Changes at work, changes in photo stuff, changes in events and changes on the home front. Some I can talk about and some I still have to keep to myself for just a little while longer. At work.. My day job isn't photography as some of you know. I'm an engineer by trade. My employer now has me coordinating accident and corrective action investigations. Cool work when the management actually knows what the Hell you're supposed to be doing. I'm having to teach my customers AND management what the job entails. IT might be easier if my previous organization manager hadn't retired and left an acting manager who now knows he won't be getting the job. Sigh.. It's a challenge. Photo wise, I'm about to start shooting a lot more. I have been shooting with a Sony A65 DSLR for the past few years. Great camera but is limited in certain circumstances (low light and motion challenge me to no end). That said, I've learned some good tricks to get some incredible show photos. Most of these are going up on my Facebook but that's also about to change. Anyhow, I found a great deal thru a friend in town on a Sony A7 ii. This is Sony's premiere full frame, professional quality camera. The up side, it's all the good things my 3 previous camera's were/are. The down side, I have to get all new glass for the camera. I got one starter lens, but what I want/need is another 28-200mm zoom built for the camera and that runs $1200. More on this predicament later, but the "kit" lens (24-70mm) is better than I could have ever believed possible. The home front changes are pretty major and I have to wait one more week before I'm willing to say more. I will note that, all is good. As many of you have probably gathered, I'm not here as much as I used to be in the past nor as much as I'd hoped to be. I'll not make an empty promise to say that I'll turn over a new leaf and be here dramatically more in the future, but there's changes in the air for me which means I may be able to drop in and post here more often. I'm not going to delve into those things yet, but there's some big stuff in the air. That said, I do still read my friends' postings here at least weekly. I check my communities, especially abandonedplaces every 1-3 days based on work and shooting requirements. I also reply to messages here with a couple hours minimum. Folks if any weird photos come up from me in old posts, it's not me. My old Photobucket Account was hacked and I'm working to get it restored. I haven't forgotten about this site or abandoned it. Life has been keeping me too occupied to post much. Here's a preview of an exploration taken this summer. Many more to follow! Out of the images pulled from the old drive, I also have photos from a second site we visited on that cold February afternoon - a former filling station. It wasn't much. The neighborhood was sketchy which probably contributed to the demise of this former Raceway gas station (petrol station). With the cold, the locals didn't choose to come see what I was doing, so a few photos were had. Ah Father's Day has come and mostly gone. Today (really this entire weekend) has been surreal. Friday and Saturday, Tammy's friend Cass came by to work on quilts and socialize. Cass has MS but it hasn't slowed her wit or humor. If anything it's probably sharper. While she was over Saturday, she started gloating about a sword she had and how heavy it was. I brought an old friend out of storage to introduce her to it - Bane. 'Rhinobane' is my heavy rapier and was for many years my primary rapier. It weighs and handles like a true period weapon. Cass was duly impressed. Also on Saturday, my mom drove down to visit us from Louisville. She was coming to treat me to a Father's Day dinner and then take Brenna for a week long trip to the Gulf coast. They need the bonding time. Brenna will only have just so much time to make memories with her like this. As for the early Father's Day dinner, Macaroni Grill and mostly cheerful banter. Today (Sunday), I got up at 6:30a. Why?! We have a large sand pile adjacent to the privacy fence that needs to be replaced. The sand and the moisture it held in, rotted out parts of the fence. To replace the damaged areas and not waste time or money, the sand needed to go. Back to 6:30... other than to see Brenna and my mom off on their road trip, I got up to pry open the damaged section of fence and make it available to the person who responded to a Craigslist advert offering it to whoever would carry it off. At 9am, "Jason" on his 8 year old son, came by and we started filling sandbags. Chris and I helped him fill 100 - 50 lb capacity bags. In about and hour time shoveled approximately 2 and 1/2 tons of sand. I may be overweight, but I still have strength and endurance. They want to cart off all the sand in the back which will help us fix the drainage problems and other problems the sand has been causing. By 11 we were sitting in Cracker Barrel for a nice Sunday brunch. After eating and letting it settle, Tammy went to a sewing gathering but didn't stay long. The morning's activities wiped her out for several hours. Later on, Chris and I had a little father son time that he'll not soon forget. I took him for his first driving lesson. He stalled the car a few times, but after about 15 minutes and several gentle reminders, be was driving in an abandoned parking lot near the house. I was genuinely impressed by how fast he picked it up. After the driving lesson, we picked up the lumber and accessories we will need to fix one of the damaged sections of the sand pile side fence. After dropping the supplies off, we ran some needed family errands then came home to watch a movie together. I should be exhausted but I'm feeling pretty good and bouncy still. I can't help but think of my late step-father Chuck as I reflect on this day. Other than my grandfather, Chuck was the strongest and most positive father figure I could have asked for in my broken childhood. I think they'd be pleased with out things have turned out for me as a father figure myself. While recovering data and photos from a dead external drive I found a few sets needing to be re-edited and uploaded. 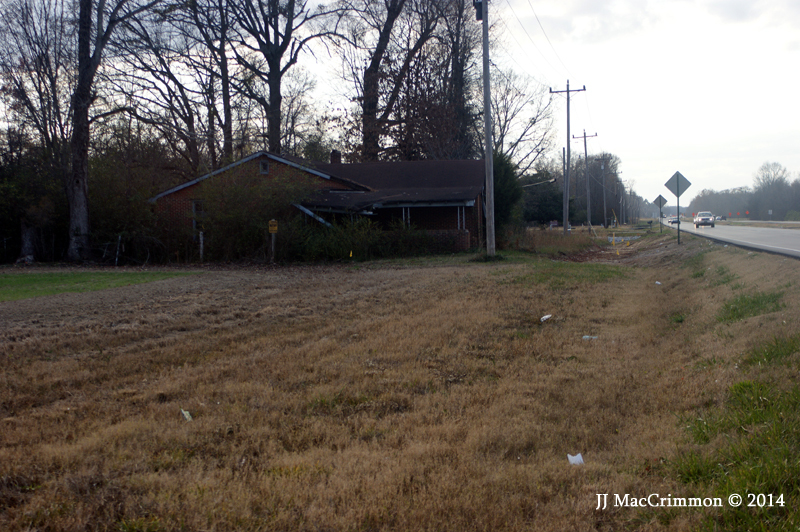 Driving the back roads between Huntsville and Florence, my wife and I saw this 1950's era farm house. 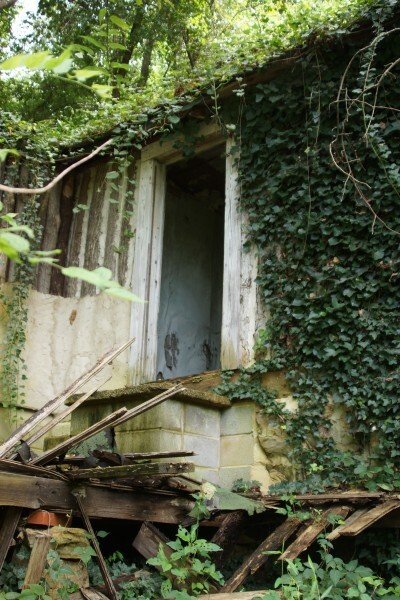 Despite the storms and tornadoes that frequent the region, this little brick house seemed to have been much loved. 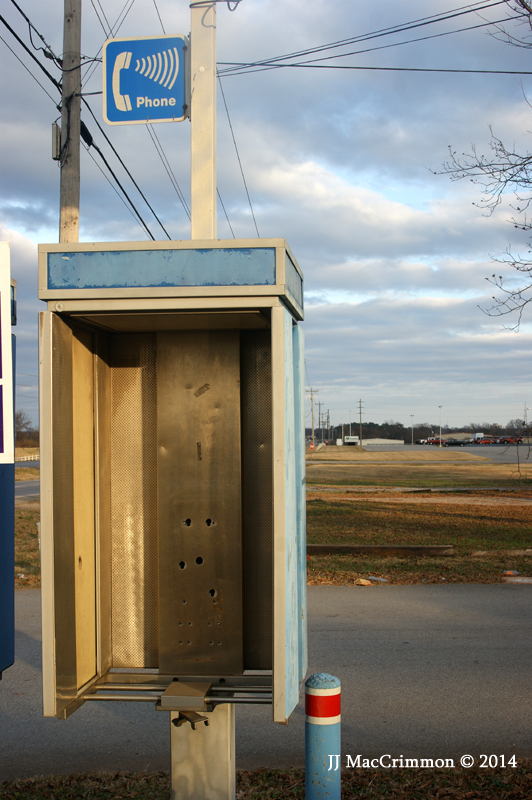 It sat forlorn on the side of a busy highway in the February chill. Road improvements cut off the driveway and raised the roadbed nearly 2 feet (.6 meters), so I had to park my vehicle a little ways from it and walk in. This past week was an exercise in recovery. Why recovery? Last week we had a few major fails around the house. On the night of Memorial Day (5/26) the refrigerator broke down. Two days later the repairman came out and got it working again. We only had to replace a couple parts and most of our dairy products. Driving into work after that, the transmission on the XTerra went from noisy to making noises (and vibrations) that said it had broken down as well. $2200 later the next day, I had a rebuilt transmission on the car. On the next day, Tammy had oral surgery and has been nauseated and unable to eat more than a small amount ever since. This week was busy but better.